To increase our offering for European car engines, we are happy to inform you that Race Winning Brands Europe B.V. is an official distributor of ZRP products from now on. We will offer the full line of connecting rods and crankshafts. This addition suits seamlessly with our premium high performance brands and product program we offer to the European racing industry. 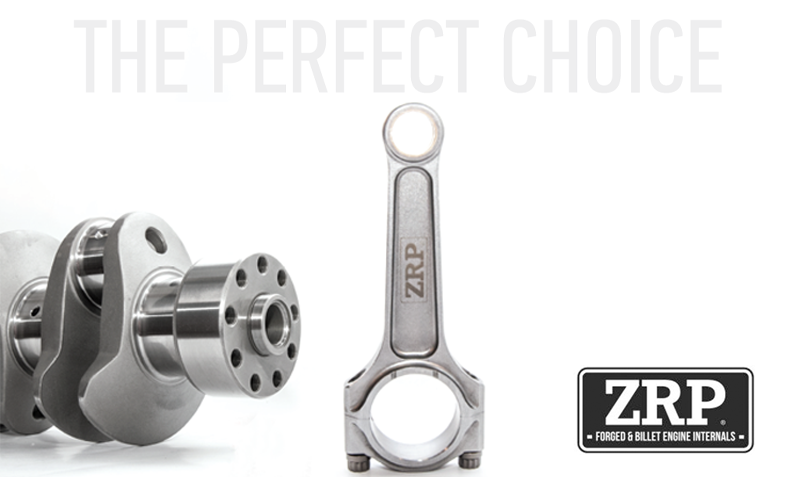 We will offer all connecting rods and crankshaft catalogue part numbers of the ZRP program, which we mainly will stock in our warehouse in The Netherlands from September 1, 2018. Our sales & engineering team has all the knowledge to advice you to get the best product for your engine project. Find more information on our website: https://www.performancemotorsports.eu or visit the official website of ZRP.